Marianne (Kniefel)Chambers, age 73, of El Dorado Springs, Missouri, passed away February 14, 2015, at Citizens Memorial Hospital in Bolivar, Missouri. She was born on March 16, 1941, in Bad Schlag, Czechoslovakia. She was preceded in death by her parents Eugen and Gertrude Kniefel. 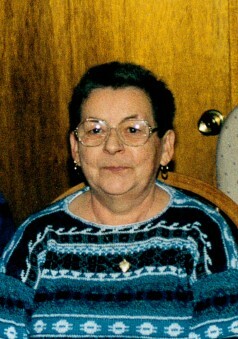 Marianne is survived her husband, Gary of the home in El Dorado Springs; one son, Gary Eugene Chambers and wife Amy of Longford, Kansas; one daughter, Carmen Shiver of El Dorado Springs, MO; two granddaughters, Faith Shiver and McKaley Chambers; two brothers, Eugene Kniefel and Christian Kniefel, both of West Germany; and two nephews, Tomas and Lota Kniefel. Marianne is also survived by her Chambers brothers-in-law and sisters-in-law, nieces, nephews and other family. According to her wishes, Marianne was cremated and a memorial service will be held at Bland-Hackleman Funeral Home on March 14, 2015, at 1:00 P.M. Arrangements are under the direction of Bland-Hackleman Funeral Home.